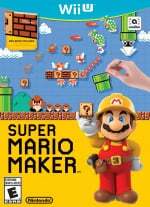 With Super Mario Maker now available, there are bound to be many aspiring level designers looking for tips to help them advance their skills. If that sounds like it pertains to you, don't worry – we're here to help. After spending the better part of a month diving deep into the seemingly endless possibilities to be explored in Super Mario Maker's creation mode, we've jotted down the tips that have helped us to become better constructors, and now we're sharing those tips with all of you lovely people. So without further ado, here are tips sure to turn you into a level-making rockstar in no time. When jumping into the Course Maker, don't think you need an elaborate blueprint drawn up before getting to business. Sure, it doesn't hurt to have a grand idea or template in mind beforehand, but it's not a necessity. Instead, just start designing a course one obstacle at a time. Remember, don't make it too difficult from the start; it's best to introduce the course's mechanical theme right away and gradually increase the difficulty as you work your way to the flagpole, that way players can be prepared for the challenges to come and not feel like they've been treated unfairly. Finding a natural flow and escalated sense of challenge is a key aspect of great stage design, so start basic and let your course build to something more interesting as you go along. Out of ideas? Save whatever you're working on, load a brand-new file, and then hold down the rocket icon in the bottom right corner of the touchscreen, which will wipe all assets from the default template. But instead of starting a new course from scratch, try experimenting with all the assets at your disposal! Drag a few enemies, hazards, and power-ups into the scene and try stacking, combining, and/or shaking them. There are many wild combinations and variations to be discovered in Super Mario Maker, and many of them defy what you'd typically expect from a Mario game. Fool around and have fun until you've Frankenstein'd something together that sparks an idea that you can work with. Trust us when we say that something interesting always happens eventually. You'd be surprised by how much inspiration can come from stumbling onto the world's coolest accident. 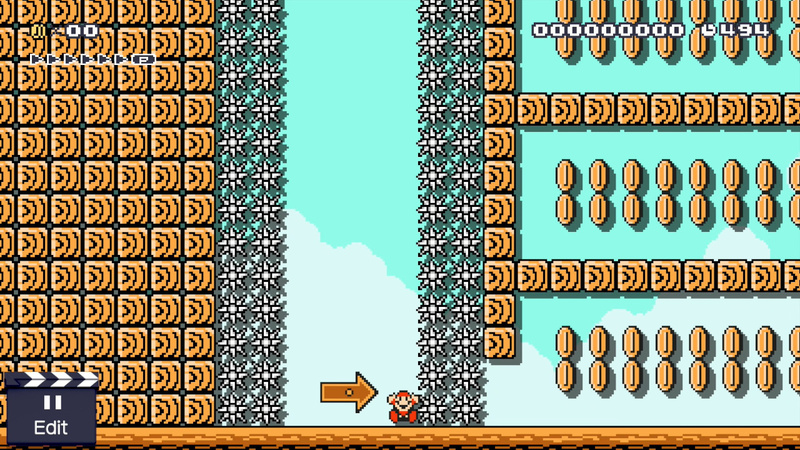 One thing you'll notice after spending just a bit of time with Super Mario Maker is that it's not uncommon for users to cram as many assets as possible into a course, often making for overwhelming circumstances. If you truly want to make a Mario course that achieves the same high-quality design that the franchise is known for, try sticking to the necessities. Indulging in too many superfluous or intrusive additions can confuse and/or anger players, putting them in a position where they don't know what's necessary for progression and what's just set dressing. Once you get through the initial asset roll-out, you'll have a myriad of options available to you, so we understand if you want to go a little crazy for a while. But if you want to be the next Miyamoto or Tezuka, keep it sensible and clever. The more direct your course is, the more intuitive it will be – and the more intuitive it is, the more Star Ratings you'll nab, which is essential if you ever want to upload more than 10 courses. If you plan to take level-making very seriously and want to earn a name for yourself in the Super Mario Maker community, buy some graph paper next time you're at the store. That way when you're at work or school and have downtime, you can pull out the graph paper and use the grids to begin planning a template for when you're back in the company of your Wii U. While we admit that brilliant ideas often come to you when messing with the tools available in the Course Maker, sometimes the best ideas develop when your mind is removed from constant stimulation and is allowed to wander. Plus, if you investigate the Super Mario Maker manual, you'll find that this graph-paper method of approach is the very way Nintendo used to design stages during the NES days! It might be archaic, but it's a fine substitute when away from home. 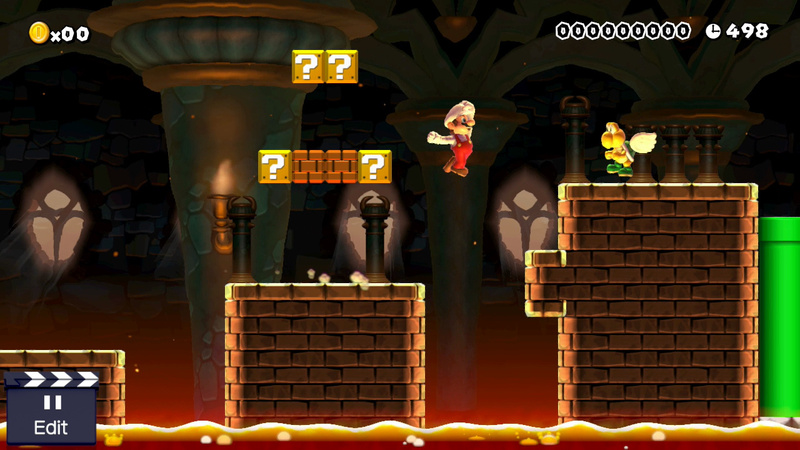 Once you've witnessed the type of wacky and brilliant stages users have created in Super Mario Maker, most Mario games from the past decade or so seems awfully tame. Play as many of these stages in your free time to help formulate new ideas. Don't plagiarize someone else's work, but instead, let it inspire you. Witnessing the off-the-wall ways these assets can be combined is near mind-blowing, and seeing what's been accomplished by other people may help you to realize the potential of an idea that someone else didn't capitalize on entirely. Apply those ideas to your own levels and create something even more impressive! When you come across a very difficult or unintuitive user-created course, don't bail out at the first sign of a struggle. Taking a few minutes to play the level with an investigative attitude, while filing metal notes of why that course doesn't work well, can help to ensure you don't make the same mistakes with your creations. We've learned a heck of a lot from doing this, and it's allowed us to avoid circumstances that make a level unfinishable (for us, anyway) or unfair. Once you're aware of what not to do, in the future you can save yourself a lot of time. The first Super Mario Bros. changed gaming forever, while Super Mario Bros. 3 and Super Mario World are often described as two of the best games of all time. Whether you dust off your old consoles and cartridges or download these games from the Wii U eShop, be sure to give them some attention if you're seeking inspiration. 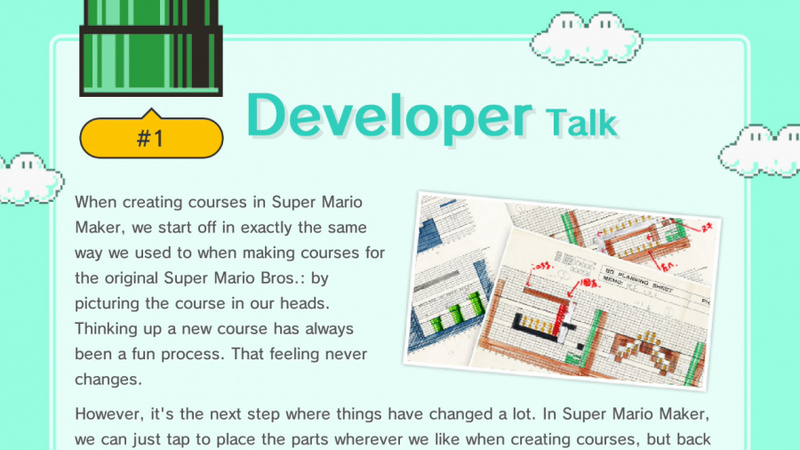 Take notes on how level 1-1 from Super Mario Bros. teaches players the core mechanics and fundamentals of the game, and apply those philosophies to your own designs. Maybe play Super Mario Bros. 3 next and notice how much of an evolution it is from the original. 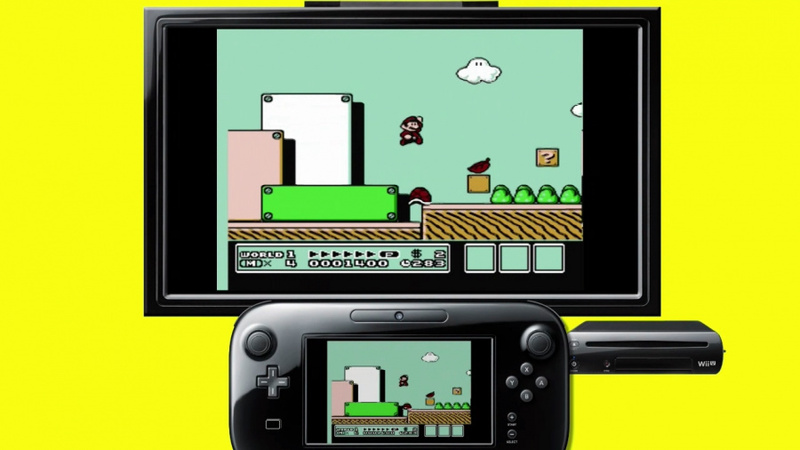 The point is, there's so much that can be learned from these classics, and it would be smart to have that knowledge fresh in your mind while trying to create the best Super Mario levels the world has ever seen. That's your goal, right? To eventually beat Nintendo at its own game? If so, we totally believe in you! Whether it be family or friends, or both, gather some company to experience Super Mario Maker with you. Even though this is technically a single-player game, it works wonderfully when passing the GamePad around and getting other minds involved in your designs. 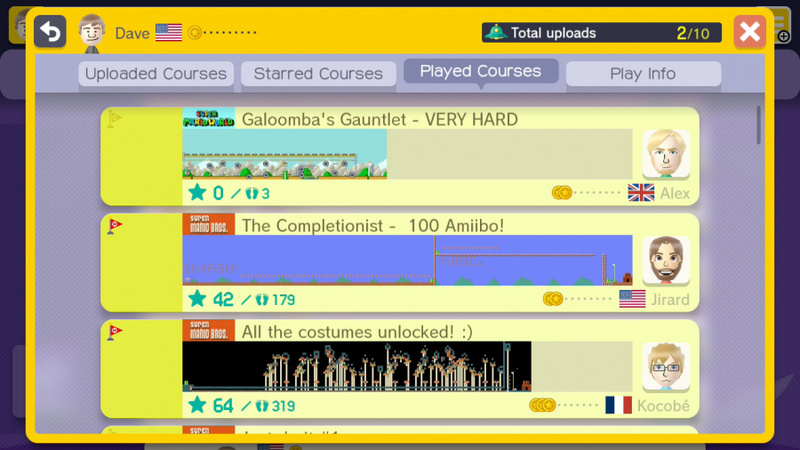 Also, before uploading your latest and greatest level, have a couple people play it in front of you and take note of any trouble spots they might run into. Listen to their feedback, and try to apply changes to your design to make a better final product. Sometimes a simple string of coins is all you'll need to direct a player toward their destination or to highlight a block of interest. Sometimes that clever section you created to test the minds of Mario veterans might be intuitive to you but not anyone else. Find out what could be better or fixed, and don't hesitate to enhance your level. Playtesting is an essential stage of game development, so why not work it into your routine to ensure you upload the best possible course? If you have any other tips that may assist aspiring level designers on their journey to making the perfect Super Mario stage, leave them in the comments below. We'd love to hear what aids you in your creative efforts, and we're sure fellow readers would also appreciate the knowledge. So go ahead – crouch into the last green pipe on the right and you'll be to the comments in no time! 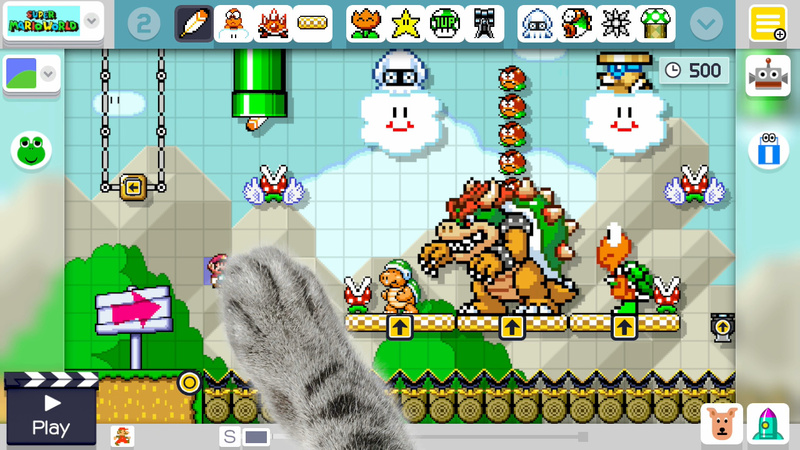 Definitely watch Playtonic's live stream of Super Mario Maker. They make an excellent case of designing a level around a core mechanic: buzz saws. Then they design the level around that, and use ditches, coin placement and other nuances to train the player around the new mechanics or the rules of the level, so that failing a first obstacle trains you how to approach the course without an immediate death. All practice for my level design classes really. It's good to really think, what is the end goal of your level? How do you want the player to approach it, and what will they feel playing it? Fun, a challenge, a relative easy going thing? Then get the paper and draw. Only two reviews in forty minutes everyone is too busy putting these tips to good use! Very good advice here. Although I think part of the point of SMM is that you don't use graph paper. My first level turned out something completely different than what I had planned because it felt differently when I started playing it. Good old graph paper, I used to go through sheets of it when designing levels for Doom, Duke Nukem and StarCraft back in the day. I've even used a few sheets this morning to design a Kirby diorama! Cannot wait! Picking up my preorder after work today. My first level which is pretty short and basic and not worth playing really has been played 16 times but my second level which I spent a couple of hours on and feel pretty proud of has been ignored.Hopefully it doesn't just disappear into the void without someone sampling it. @OorWullie post your code and I'll play it later haha. Me and my son designed a multi-route level but I can't have a go at implementing until later - got to finish work before I can get my hands on it! (shudders)W-w-wiggler Party... Make it stop. Make it stop. Pro-top: Do the exact opposite of what 99% of the level creators on Super Mario Maker are doing and you might have a chance at create a level that's actually half-decent and fun. @OorWullie I fear that after the first few days this is just going to be another YouTube, Twitch, Facebook, Twitter, Kickstarter, App Store, Google Play Store, etc., type scenario, where only a tiny selection of people, the lucky few, will get any kind of exposure, acknowledgment, publicity, reward, fame, whatever, and everyone else will just get lost in the crowd—and not necessarily because those lucky few are making great levels and someone else isn't. Unfortunately, I haven't yet figured out a way to make a system where millions of people are using it, all trying to get exposure in one form or another, that doesn't result in this kind of situation. Just gonna trust the ratings system to expose the good levels. I'm certainly not going to dish out extra stars to a level that doesn't deserve it. The most important tip to me is avoiding clutter in the levels. A huge majority of what I've seen so far is an overabundance of items and enemies. Sure it makes it more "challenging" I guess, but in a really cheap way. Here's hoping that the rating system works well! @SkillToad Yeah most of what I've seen is just time jumps correctly around a screen filled with enemies. My levels being unplayed is my only concern at this point. There could be millions of levels in the future so I have a feeling that they won't stand much of a chance. @SkillToad I feel like people are forgetting that a lot of good levels are based on simple concepts - sticking to one or two enemies and a central "gimmick" makes for a more coherent and satisfying level than throwing an array of power ups and hundreds of enemies at the player. Having said that, my most popular level is, in hindsight, definitely guilty of having no real focus. You don't even have to make a difficult level for people to like it, particularly for somebody like myself, who has no patience for ultra-punishing Kaizo Mario-style platformers. I found having my brother do a blind test point out some of design flaws I need to fix. I am going to make more puzzled-focused levels. I hope the up and coming section works well. I imagine cool names will play a big part in levels standing out from the crowd. Much like you might by a book based on its title. A great level with a simplistic name may not get the love of a crappy level that uses a great play on words. Call a level Mega Man XI and it will get more plays then 'crazy crazy floating platforms' etc.....Cant wait to play this on Sunday once I am finally done with work. Feels like a huge moment in Nintendo history. @DRL: I know you only meant well and there may actually be people who aren't smart enough to figure it out themselves... but I could've given those eight tips in my sleep. For anyone how's not a total noob (I never thought I would actually use that term this way) in everything Mario (or games in general), those things are self-evident when creating your own levels. Got my copy and playing it now, LOVE IT! This game is awesome. I bought the wiiu system bundle with the game and book and amiibo. Yeehaw! That's exactly what I did too! His play-through really helped me figure out how to tweak certain things to allow them to stay challenging, yet keep true to the original design that I had in mind. I wanted to get a feel for how a complete novice would play my level, so I asked my mom to give it a shot. She didn't do very well, but liked it, and I realized that she plays completely differently than an expert or even a moderately experienced player would. I ended up tweaking some things based on the feedback I got from her. I'm still really happy with the level that I made today, and I'm uploading it now. I hope the NL staff and users get to have fun with it. It's been rolling around in my mind since I was a kid! I added a bonus objective to my level! I know that I really enjoy hunting for little extras when I play Mario games, and as I don't have many resources yet I just made the player go on an optional hunt for 1UP's! They had to collect 100 coins, and then find grab the difficult to reach green mushroom near the end. I already got a star on that baby! I haven't played too many levels, but I assumed that would be the case. Clutter is never good. Something to keep in mind if you wanna earn some stars. Make a few levels that are clever, but easy to complete. I doubt people will bother to star a level that they can't finish. I decided to make levels that I would want to play over and over again. I find that if a level is too straight forward and simplistic, or to much of a spam killer, I won't be playing it more than a couple of times. Trying to balance risk and reward with enough variety in a level should be a good focal point. Writing down what doesn't work is a great idea, I'll have to take that advice for sure. Its easier to make hard courses than it is to create easy ones. It's such a crazy fun game. It's so simple to just dump platforms and enemies into a level, but so difficult to walk away thinking "Would this be in a Mario game?" I've built levels, then had to remove enemies left and right, then just nuke and start over. Next thing I know, it's 6 hours later lol. I wish I was joining you guys on this but YODEL didn't deliver my parcel. Do they often lie and say they've attempted delivery? @HappyMaskedGuy How is that douchey when I only was honest? So you're saying a dishonest feedback is better than an honest feedback? I don't get it. Actually, I'm surprised that no one else is complaining. The details of level making (like putting the right distances for jumps, rewarding risk, balancing the level...) should be clear to everyone who has experience in playing 2D Mario games (unless they're really inattentive). And the rest is obvious. "One Obstacle at a Time", "Experiment, Experiment, Experiment", "Less Is Usually More" and "Two Heads Are Better Than One": Those things are common sense and also apply to any kind of project, not just Mario levels. "Invest in Graph Paper": Well yeah, if you want to do it right, you have to make a plan or in this case, a sketch. Of course Graph paper is best for this, since Mario Maker's levels are also divided into grids. Does this really have to be explained separately? It's totally obvious! "Play LOTS of User-Created Courses", "Don't Bolt Without Taking a Note" and "Get a History Lesson" are also self-evident. If you want to create your own course, you first have to have played many courses of others and taking some notes is always helpful with these kind of projects, especially if you're observing others to learn from them. My point stands, those eight tips are only helpful for complete Mario newcomers. But you won't find those on Nintendolife, because this is a website for Nintendo fans or at least Nintendo sympathizers. Something that bothers me is the fact that most courses are all packed and crammed with all kinds of things, which make the original super mario experience vanish. Sure, there are some unique courses, but pretty much like 4 out of 5 courses, are the opposite of traditional approaches to super mario courses. I remember super mario for super nintendo back in the days, the level design etc, was amazing, but what appears to be popular now, is the opposite. I put out two levels: I found that the name really helped attention, but the one I put more time in has more likes per plays. Moral of the story: Put time into a good level. Good advice, Dave. I wish players would make sensible levels but it looks like most people are vomiting their paranoias. The result, overwhelming and unfair levels full of sprites. SUPER MARIO TROLL. Why does it sound like NL is salty from hard levels, which arguably take a better knowledge of game mechanics to make. ESPECIALLY the really hard pixel perfect ones. @shani As a fellow Mario Maker, I can tell you from experience that it's easy to just jump on in and start getting crazy with all the elements of creation you have. It's surprisingly easy to forget the things they outlined above. And I think the truth about why it's so easy to forget is quite shocking: Creating levels is stupidly fun. Like seriously, spawning a zillion lakitus throwing out giant goombas is so fun, people forget they're actually supposed to be making quality levels here. And speaking of which, considering the bulk of levels out there atm, the Mario Maker community would do well to read this guide. You're right about less is usually more. I've played a few stages already that are just overkill with too many enemies and obstacles being thrown at the player all at once. Which goes back to your first tip, one obstacle at a time. Yep. I've uploaded a grand total of one, but that one is just using the early assets, and is a pure SMB level. No overcrowding of enemies or items. Still, it has only a 16.6 % complete rate. It really isn't that difficult or long... Oh well. @MasterWario +1. Also, I can say that the 2 heads is better than 1 thing is definitely true, you won't believe what me and my friend came up with. I can see other people feel the same, but playing 100 Mario feels like a Mario version of Tinder, constantly swiping left to get rid of all the awful level designs. That and all the auto plays that rank at the top! 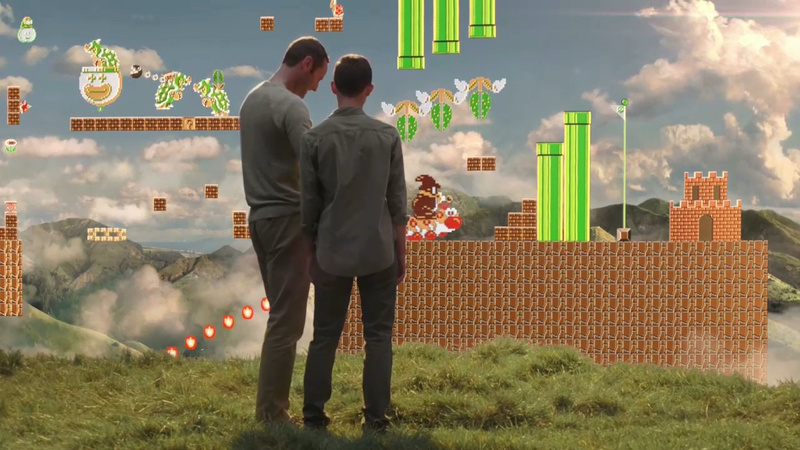 I want to PLAY Mario, not be accosted by Bowsers or 'Just press nothing'. Otherwise great game, just this is why I'm not a fan of community built gaming, glad NL has it's upload section here, we can band together and actually play Mario! I've got to buy this! I'm going to have to get graph paper because I outlast my gamepad every time I sit down to play! I'm going to make a level for my 3 year old with no pits, no enemies and a few blocks to smash or jump over. Shell finally be able to play Mario and really learn before ramping up. Here's a tip: Even if you don't like a specific level genre, design every kind of level genre you can think of at least once, even if you don't post it. Not only will this allow you to explore and create new ideas that weren't possible by limiting yourself to one genre, you may also learn a neat technique that you can implement into your preferred level genre! 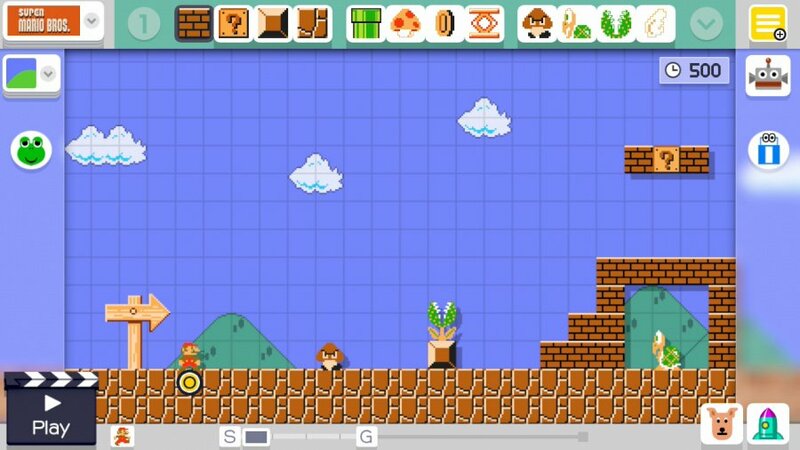 unique idea (such as the avoidance of mushrooms to make it through the end, experimenting with costumes, using the blocks to design a level made of pixel arts). Here's something I can't stand that people do with their levels: make it impossible to complete if you miss a power up or lose a power up by getting hit. It's not fun to have to restart a stage because you missed a star that was required to run through a million piranha plants. You need to run through every possible scenario in your head that you can and make sure the level is completeable in all of those ways before uploading your level. @OorWullie I've not made any levels, yet—well, I made one but it was just testing the toolset, and even though it's already better than half the uploaded levels I've seen I wouldn't actually upload it—but I will soon.